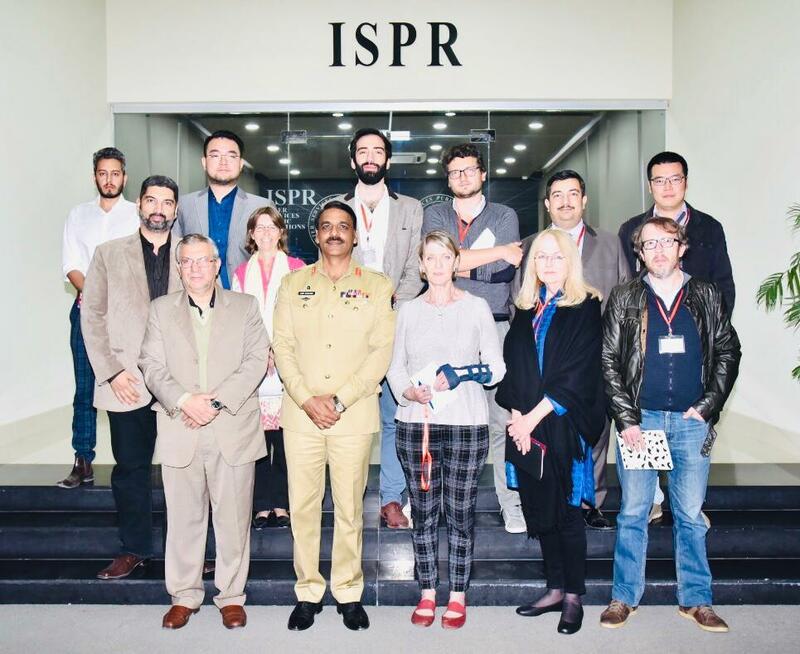 A group of Pakistan based foreign media journalists interacted with DG ISPR, Maj Gen Asif Ghafoor. DG ISPR briefed them about security situation and ongoing stability operations. A group of Pakistan based foreign media journalists interacted with DG ISPR, Maj Gen Asif Ghafoor. DG ISPR briefed them about security situation and ongoing stability operations. Matters related to Pak-Afghan border and situation along Line of Control (LOC) were also discussed. DG ISPR said that security situation of Pakistan has largely improved through successful clearance operations and we are heading towards stability. He said that having restored peace Pakistan wishes to see peace beyond borders especially Afghanistan. He said that international community sees Pakistan through their reporters based in Pakistan. He expected them to highlight improving peace & stability in Pakistan, which offers economic opportunities for foreign investors. He also said that media has a very important role to project the true positivity of Pakistan.